Marion…. Today, State Representative Dave Severin visited the Veterans Affairs Department in Marion, to honor several Veterans Service Officers and volunteers for the work they do for Veterans. 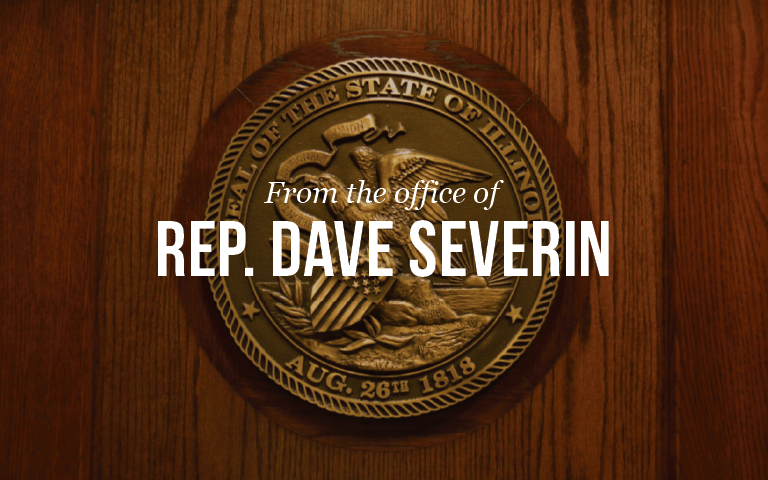 Ed Humphrey of AMVETS, Gregory L. Strong of the VFW, William Slider of American Legion, and Denton Vaughn of DAV all received an Illinois House of Representatives certificate of recognition from Rep. Severin for their work. Caleb, and Charles Humphrey were also honored, they will be receiving the Daughters of the American Revolution National Youth Volunteer Service Award for Veterans on July 1st. Kathie Coates works for AMVETS and interacts with the Service Officers and volunteers on a regular basis and brought their work to Rep. Severin’s attention.